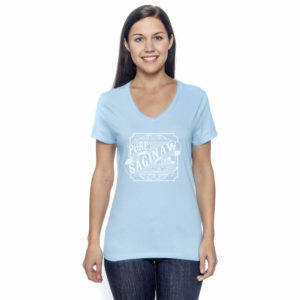 These comfy Lightweight T-Shirts have a white Pure Saginaw logo screen printed on a light sky Blue women’s cut v-neck T-shirt. 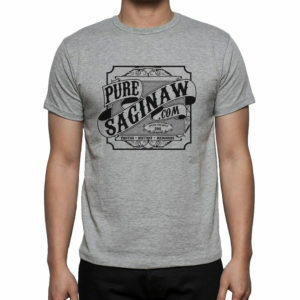 The shirts are a 60/40 pre shrunk cotton poly blend and are super soft. 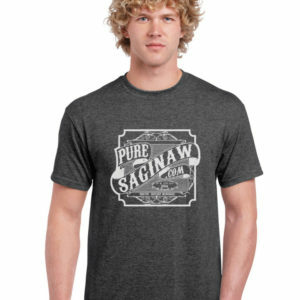 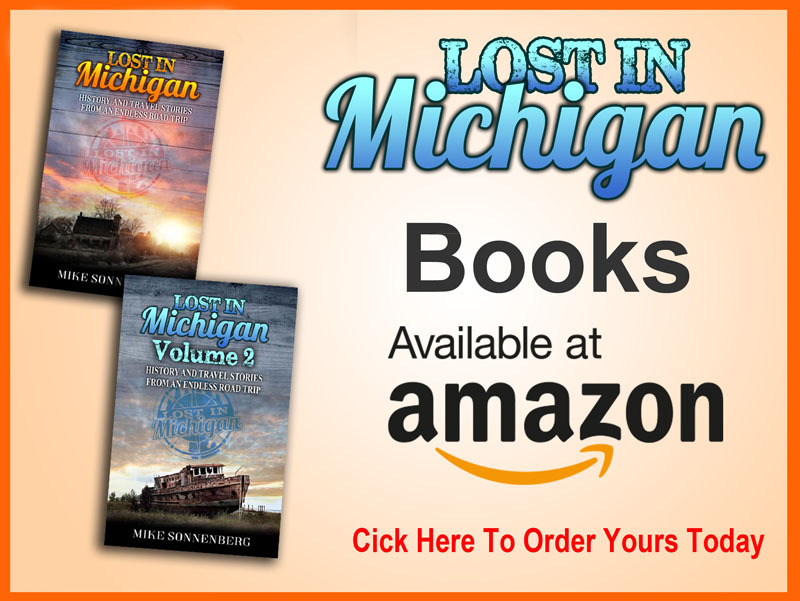 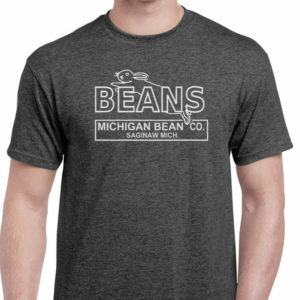 The shirts are made by Next-Level and you can find their sizing chart HERE, Not only are the shirts screen printed in Saginaw, but I actually screen printed them myself with my own two hands with an eco-friendly water based ink.